Join Bumblebee on its incredible gaming adventure today! 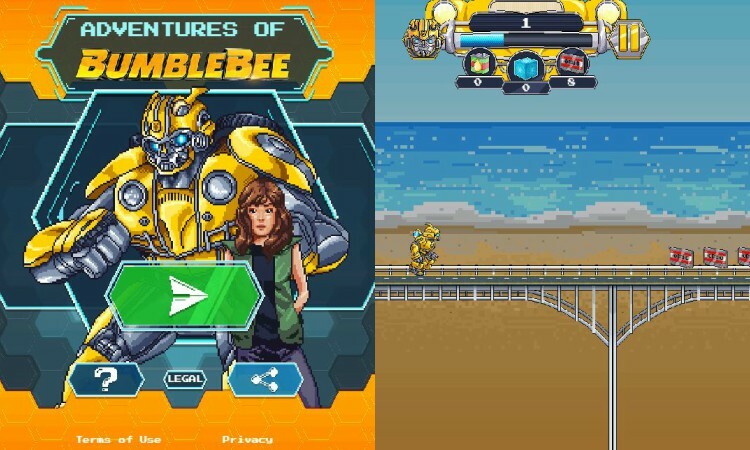 Unfolding into the world of excitement, the makers have launched the all-new Adventures of Bumblebee in gaming format, now accessible on smart-phones and laptops. This interesting play-off takes the player on an adventure with Bumblebee passing through the multiple layers of difficulties and hurdles in its way. On a run since the year 1987, film-maker Travis Knight brings to us the much-awaited Transformers franchisee, Bumblebee. Scheduled to release on 4th January 2019 in India, the movie is an amazing journey of Charlie who happens to discover about the war-ridden Autobot, Bumblebee in the junkyard while looking for an ordinary Volkwagon as her birthday present.